Do you find yourself overheating at night while you try to sleep? Fortunately, there is a solution: high-quality mattress protectors that help keep you cool. We’ve done the research and put together this all-telling guide on the best mattress protectors for hot sleepers so you can have a great night’s sleep. Additionally, we’ve also put together a comprehensive guide on how to care for your mattress protector and common questions that many people ask. Let’s get started. Crystal Gel with Cooling Fibers Mattress Protector is made of crystal gel with cooling fibers. The company uses this special crystal gel to keep the bed chilled. The Mattress Protector has a waterproof polyester material that is soft to touch, stretches to fit the surface of the mattress, and has deeper corner pockets that hold it firmly to the bed. The soft material is machine washable. 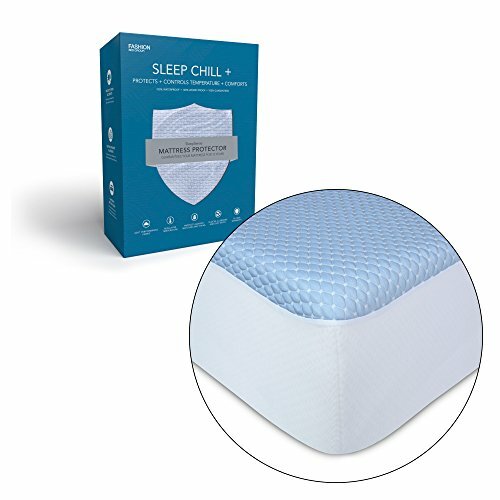 The Crystal Gel with Cooling Fibers Mattress Protector works to complement the features of your current mattress by dissipating body heat away from the surface as it redistributes it through its well-ventilated fabric. The mattress protector is resistant to dust mites, pet dander, and other allergens. It is available for all mattress sizes including the California King Size Mattresses. We are big fans of this mattress protector. 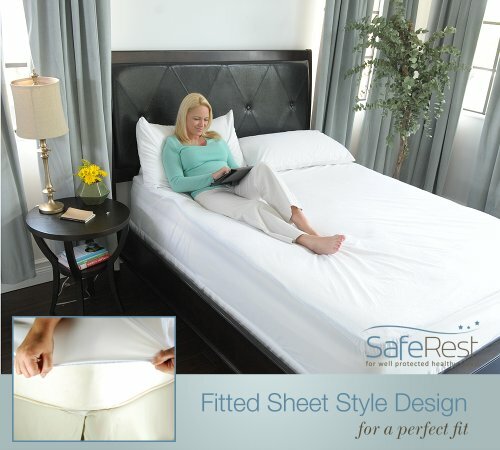 For those who tend to be hot sleepers, SafeRest Vinyl Free Hypoallergenic Waterproof Mattress Protector is another fantastic choice. A hot sleeper who has issues with allergens and dust mites will highly enjoy using this mattress protector. This mattress protector is also suitable for persons sharing a bed with pets or children that struggle with incontinence. The soft cotton hypoallergenic fabric present in the SafeRest Waterproof Mattress Protector prevents a buildup of bacteria or other allergens on the bed. Its waterproof material keeps fluids from seeping into mattress, thus protecting it. The 14 inches depth ensures the cover fits appropriately on most mattresses. Best of all, it helps keep you cool due to the use of cotton as a primary construction material. 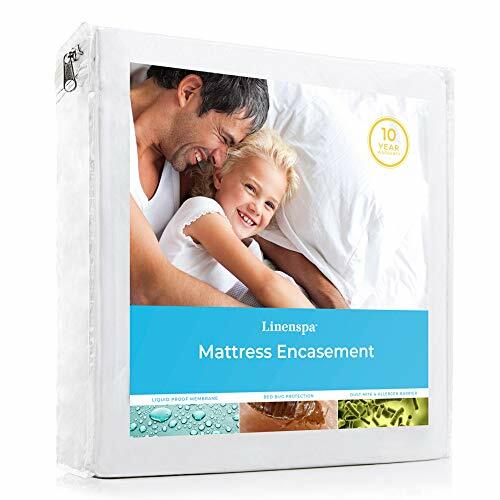 If you are looking for a mattress protector that is cool, that is barely noticeable on the bed, and gets clean upon wiping it on the surface alone, then the LINENSPA Hypoallergenic and Breathable Zippered Mattress Protector is your best bet. It is made of a thin, lightweight, waterproof fabric that keeps the bed cool with its soft, breathable texture. This zippered mattress protector will retain the feel of your mattress and completely keep bedbugs, dust mites, and other allergens at bay. LINENSPA Hypoallergenic and Breathable Zippered Mattress Protector is 12 inches high, which means it fits most mattresses. In addition, it can stretch up to 6 inches more without being disfigured. The mattress protector maintains your sheets in place and doesn’t make noise when you toss and turn. It is also waterproof, making it a great choice to both keep you cool and protect your mattress from moisture and spills. 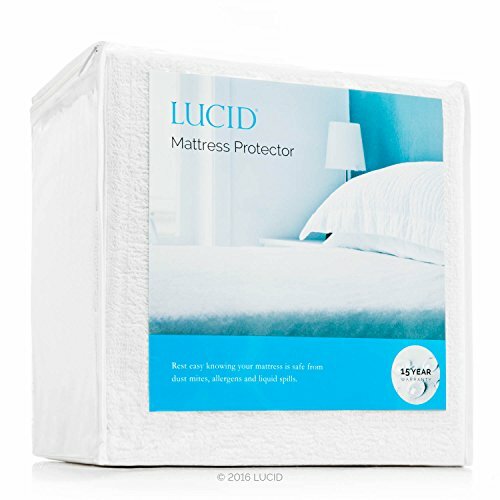 If you are looking for a great mattress protector to keep cool, the LUCID Premium Vinyl Free Hypoallergenic Waterproof Mattress Protector is another fantastic choice. This mattress protector is made from a thin waterproof cotton terry surface that repels body fluids and allergens from the mattress, and helps keeps you cool and dry throughout the night. The mattress protector can effectively cover a mattress of up to 22 inches high with a fitted sheet style finish. The mattress protector is suitable for keeping memory foam mattresses cool since such mattresses tend to retain body heat. In addition, with the LUCID Premium Mattress Protector, you do not have to worry about dealing with noisy sheets when tossing and turning in bed. It is available in various sizes ranging from the twin mattress size to the California King Mattress size. 3D air fabric is used in making the SOPAT Breathable Waterproof Mattress Protector, which makes it cool, soft and breathable. This mattress pad will fit mattresses of up to 18” deep without changing the feel of these mattresses. The topper’s fabric repels stubborn allergens and bacteria that tend to accumulate on the bed over time. The SOPAT Breathable Waterproof Mattress Protector is machine washable and can be line dried. It also are waterproof, thus helping to protect your mattress from spills. Choose from a variety of sizes ranging from the twin size to the California King size. 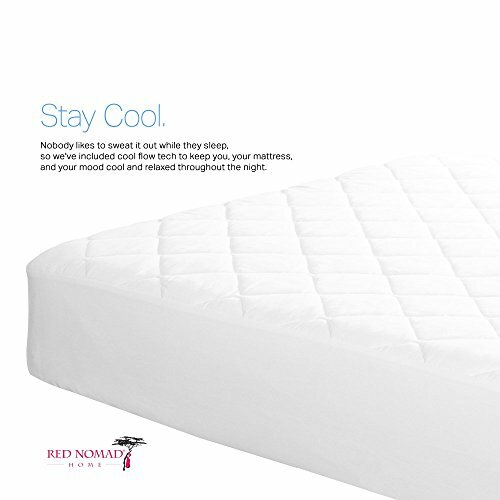 The temperature control features of the Breathable Cool Cycle Technology Bamboo Hypoallergenic Mattress Protector are aided by its organic bamboo fabric, this helping to keep you cool all night. This fabric absorbs and wicks moisture away from the sleeper keeping him cool and dry throughout the night. It also has natural antibacterial and hypoallergenic properties making it ideal for persons prone to allergies. The Breathable Cool Cycle Technology Bamboo Hypoallergenic Mattress Protector has a waterproof synthetic fiber and an elastic all round finish. Its waterproof features ensure a spill from a breakfast in bed does not ruin your expensive mattress. Additionally, the mattress topper has a fitted sheet style. It is available in a variety of bed sizes and measures 18 inches deep. 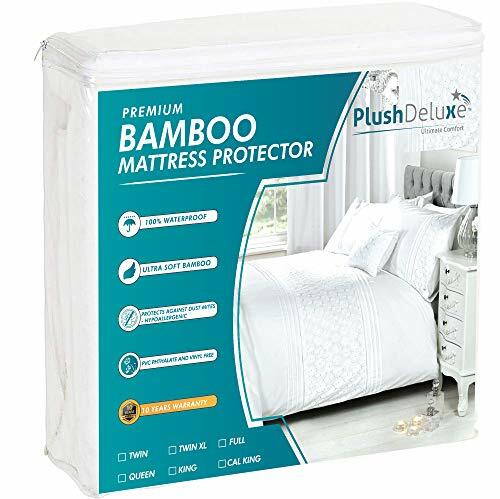 PlushDeluxe Breathable Mattress Protector is made from natural bamboo fabric that absorbs and wicks moisture away. The waterproof fabric protects your mattress from accidental bedwetting, spills, pet dander, and allergens. 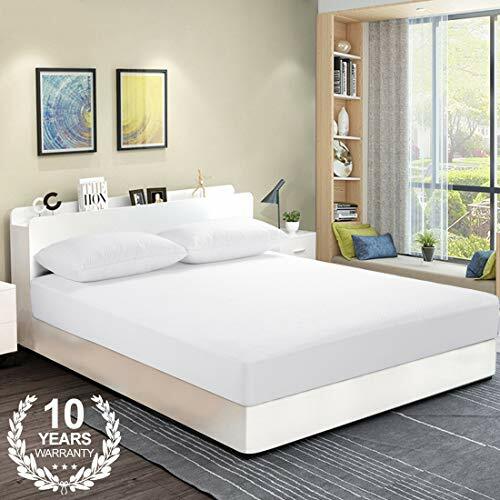 This thin, lightweight topper is available in all mattress types and sizes including the mini crib mattress size measuring 27” by 39” and a stretch of up to 8” deep, memory foam, spring, and latex mattresses. Its seam finishing and invisible zipper ensure the topper fits firmly on the mattress even when you toss and turn. The PlushDeluxe Breathable Mattress Protector will withstand many washes, natural wear, and tear, and is a great choice for your mattress. 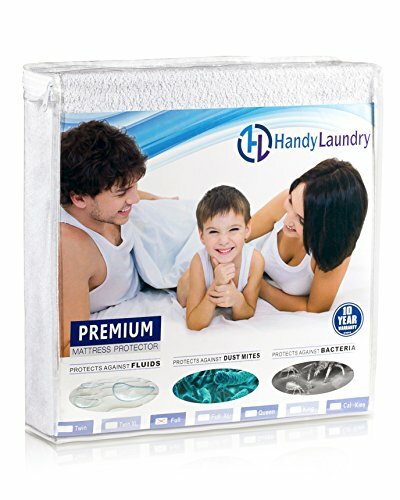 The Handy Laundry Soft Cotton Mattress Cover is made of a cotton terry material. This fabric ensures a hot sleeper will experience a relaxed, sweat-free night by keeping your bed well ventilated. It also absorbs and wicks away moisture. This mattress protector has a fitted sheet style that is an effective barrier to irritating dust mites, bedbugs, bacteria, and allergen build up. Expect no plastic-like sound associated with inferior quality toppers. The Handy Laundry Soft Cotton Mattress Cover is easy to set up, durable, and will help keep you cool if you are a hot sleeper. Mattress protector should have a design that has the hot sleeper in mind. Be on the lookout for any additional features such as a cooling system infused into the mattress protector, different ventilation systems, or the use of waterproof fabric that keeps sweat and other fluids away from the mattress. Choose a mattress protector that fits your current mattress evenly. Check on the packaging for the depth of your mattress protector. Most manufacturers make toppers with an average depth of between 4” to 18”. However, some mattress pads can stretch to accommodate large mattresses. Various natural materials are effective in keeping a hot sleeper cool throughout the night. Cotton, bamboo, eucalyptus, and silk are natural organic fibers with excellent moisture wicking abilities. These materials are also thin and lightweight in nature, therefore, ensuring you still enjoy the great feel of your expensive mattress underneath it. A hot sleeper will not be woken up in the middle of the night by a pool of sweat. Instead, good quality materials are well ventilated, to ensure all moisture is kept away from you with every perspiration. When it gets too hot, most sleepers tend to toss and turn a lot. A good mattress protector will not only keep you fresh with its fabric, but it will also stay put when the bed gets too warm. Such mattress toppers have either a fitted sheet style finish or a zippered design that secures the mattress all around. Choose a mattress protector with the right depth measurement for your current bed. A hot sleeper is bound to get allergic reactions when sleeping in stuffy bedding. Avoid such uncomfortable occurrences by investing in a topper with antimicrobial properties. Such a mattress protector will also repel allergens that would have otherwise accumulated on the bed with time. Use a mattress protector that has a physical barrier to dust mites, bed bugs, and bacteria. A machine washable mattress protector is easy to maintain. Some waterproof mattress protectors require wiping only to clean them. Take into account whether your mattress protector will need any specialized cleaning or not. A trip to the laundry may be an additional cost that you had not planned. As a rule of thumb, a mattress protector should last for many years, preferably throughout the lifetime of your mattress. In addition, a mattress protector that has at least ten years manufacturer warranty is a clear indication of its durability. Your ideal mattress protector should have a robust design with strong seams. It should be able to retain its form after many washes. Spills and accidents happen, so it is highly recommended to pick up a mattress protector that has waterproof qualities. This will help protect your mattress, thus giving it a longer lifespan. Q. Do I Need To Use Bed Sheets On Top Of My Mattress Protector? Not necessarily. Most mattress protectors are comfortable enough to be used without extra bed sheets. Q. Do Mattress Protectors Cover The Entire Mattress? Generally speaking, no. 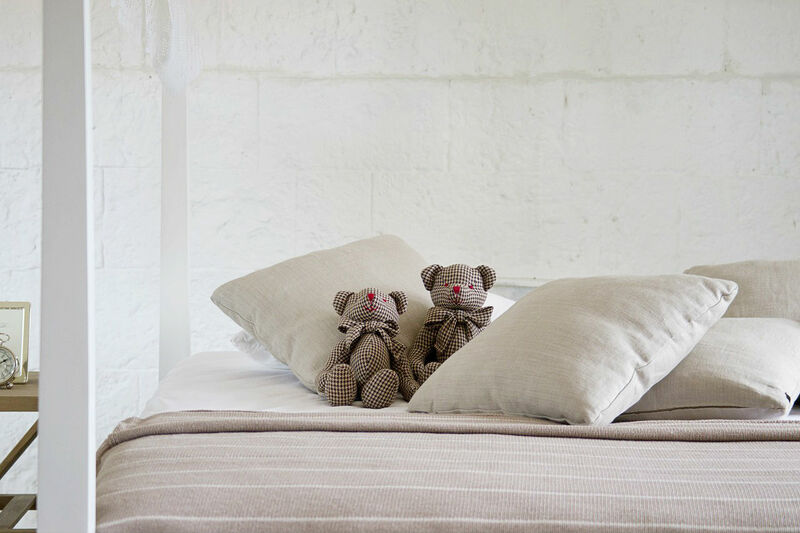 Toppers with a fitted sheet style cover the top and sides of the mattress only. The zippered toppers cover the entire bed. Q. How Do I Wash My Mattress Protector? Most mattress protectors are machine washable. Read the directions of your chosen mattress protector to learn how to clean it. 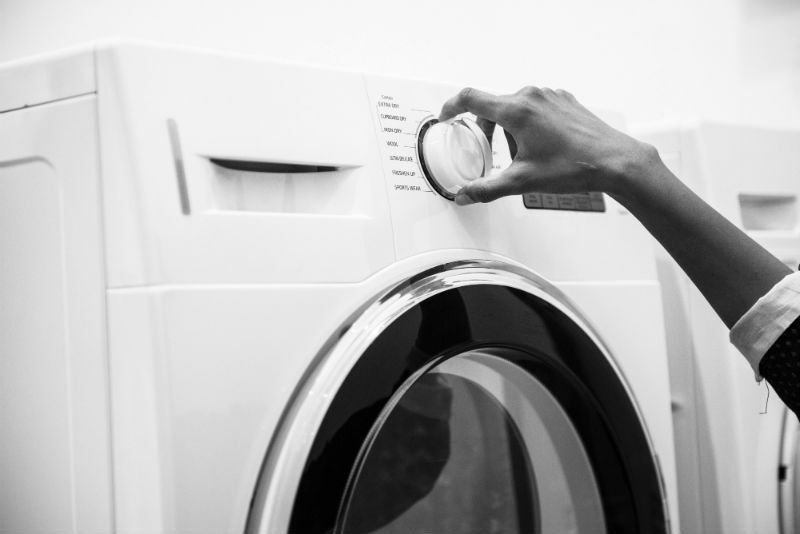 As a general rule of thumb for machine washable mattress protectors, set your washer to a delicate or gentle setting. Avoid using bleach. Tumble dry it after washing. Q. How Often Should I Replace My Mattress Protector? After 5 to 7 years. Keep in mind the manufacturer’s recommendations and be on the lookout for any signs of wear and tear. This number can change depending on the quality of your mattress protector, how much use it gets, how often you clean it, etc. Q. What Else Do You Recommend To Keep Cool? If you are struggling to keep cool at night, there are two main things we recommend doing. First of all, try picking up a simple fan and point it towards you at night. You may find that this helps keep you cool and is a simple fix. Another thing you can do is pick up a cooling pad, which you will sleep with and will definitely cool you down at night. Both are great options. A good mattress topper is like insurance for your mattress. It should not cost as much as your mattress, yet it should protect your bed and keep it in tip-top shape for long. 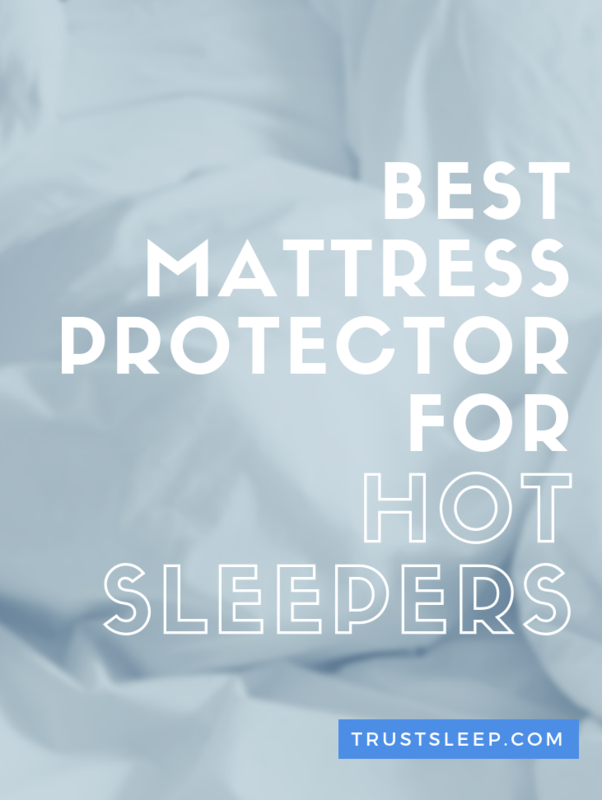 The mattress protectors for hot sleepers will help keep you cool no matter your circumstances. We hope you have enjoyed reading this article, and we hope you have many cool, sleep-filled nights.